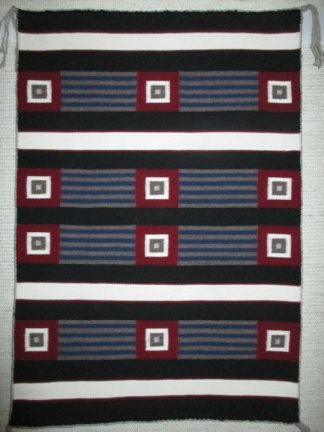 Navajo Storm Pattern Rug by Thelma James. 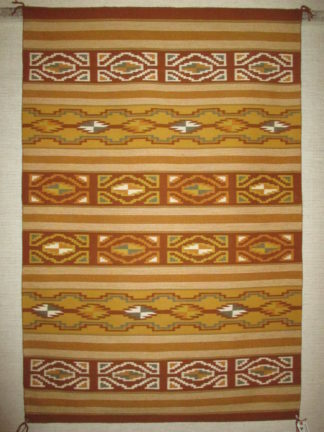 Very large size Navajo Rug. Very nice weaving with lots of detail and GREAT colors! The extra ‘storm pattern’ within the center of the storm is quite appealing. Huge and beautiful rug!